Have you ever gone on a hike in Norway that was described as “easy” but turned out to be quite demanding and/or scary anyway? Well, Norwegians quite simply have a different understanding of a simple hike than someone who grew up in the plains of Germany (in other words: me). Understandably so, Norwegian kids grow up hiking in the mountains while I, even after 4 years in the country, still can’t get myself to even attempt to hike Pulpit Rock - that edge just looks too scary! So, when I say “easy hikes”, I really mean it! The following 7 hikes all feature relatively flat terrain and well-maintained trails, and could probably easily be done by any Norwegian 2-year old ;) ... Well maybe not quite a 2-year old but at least, these hikes are manageable even if you’re not in best shape and/or suffer from a fear of heights! Happy hiking! 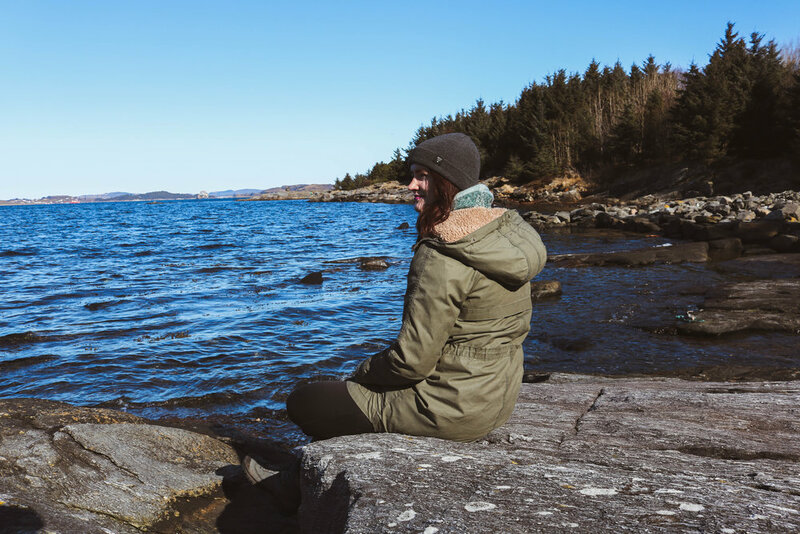 All hiking trails, except for Rennesøyhodnet, can also easily be reached by public transport so you don't necessarily have to rent a car! Not going to lie, the drive up to the starting point of the trail to Rennesøyhodnet was an absolute nightmare for me - and might be one for you as well, if you suffer from a fear of heights and/or are claustrophobic. It sounded so easy in the tourist brochure - "drive up to Sel and follow the marked trail from there". What the brochure didn't say was that the road from Vikevåg to Sel is a narrow serpentine road up the mountain with a steep drop-off to your right (aka, where I was sat in the passenger seat, not expecting a road like that and ending up having a panic attack). However, once you make it to the parking lot close to Dalestemmen lake, the trail really is very easy! There only is an incline of 100 metres and the hike itself is only 5 km long in total. The trail leads over marsh- and farmland, as well as through a forest, and is only rocky on a few very short stretches. 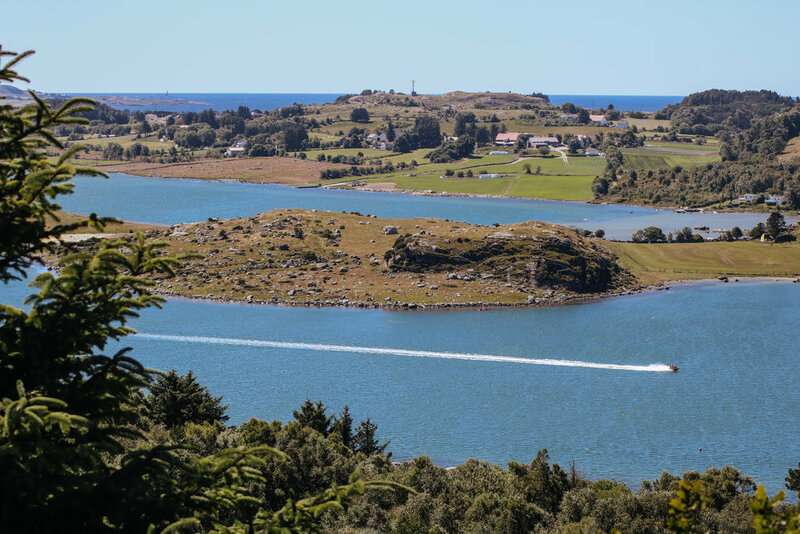 From the top of the mountain (or rather hill as it's only 234 metres high), you have a fabulous view of the entire Ryfylke region, together with Stavanger itself! How to get there: Only by car! Follow the road E39 to Vikevåg, then turn onto Vikevågveien and from there to Daleveien and up Selsveien until you arrive at the parking lot. The trail to Rennesøyhodnet is clearly marked! Lysebotn at the very end of the famous Lysefjord is mostly known for its proximity to Kjerag, but there are actually plenty of hiking trails in the village itself. One of them leads you to the so-called "cold cave" (a cave in the mountain that was used by locals to store food back in the day) and the so-called "King's stone" (a huge piece of rock that supposedly was used by a Viking king as a rest stop on his travels). The trail from the Lysebotn farms and back to Lyse Chapel leads you through the forest most of the time, which means that there's a danger of falling over wet tree roots or slippery rocks (yep - happened to me). However, the hike itself isn't very long and shouldn't take more than 1 1/2 hours (with the starting point near Hauane B&B and end point at Lyse Chapel). If you visit Lysebotn by ferry without a car, you have to take the 3 km to get from the pier to the starting point of the hike and back, into consideration as well. How to get there: Take the ferry from Stavanger to Lysebotn and follow the main road in the village until Hauane B&B. The trail starts past the farm and leads into the forest and up the mountain until you pass the cold cave ("Kaldahåla") and reach the King's stone ("Kongesteinen"). From there, you can follow the paved road back down the mountain until the first buildings to your right, from where you can use the trail of stairs past the power plant to get back to the village. Trollskogen is a lovely forest right by the fjord on the island Hundvåg. It's a popular area for families on weekends and offers magnificent views of the ocean and the city! The trail itself is super short (if you choose the round tour around the forest, that is) and even though the trail leads through the forest (and over tree rots), as well as past the shoreline (and over rocks), it's still pretty easy to walk on. How to get there: Bus 1 from the city centre to Hundvåg. Get off at Selhundveien and follow the road with the same name to the parking lot where the trail starts. Sørmarka is the biggest green area in Stavanger. There are several hiking trails here, leading past fields and through forests. You can start a round tour around the area at Ullandhaugtårnet, the telecommunications tower with a fabulous view of the entire city and surroundings, that's situated right next to the Botanic Garden. How to get there: Bus 4 or X60 from the city centre to Folkeviseveien. Head to the tower and start the hike from there. The trail is marked as "Sørmarkaturen". Stokkavannet is a lake in the west of Stavanger municipality. It used to be the city's drinking water reservoir back in the first half of the 20th century, and now functions as back-up. Locals use the lake to go swimming in the summer (it's much warmer than the fjord!) but there also is a circular route around the lake, which makes for a perfect hike through forests and past farm fields. The trail is made of concrete and there is hardly any incline, which makes for a really easy hike despite the total distance of 10 km. How to get there: Take bus 2, 3, 6, 7 or 16 from the city centre to Morgedalsveien and follow the trail down to the lake from there. This one is less of a hike and more of a walk but I had to include it anyway because of the fabulous views! The lake Mosvatnet has been Stavanger's drinking water reservoir from 1860 to 1930 while the tower Vålandstårnet has been a former observation tower. Both are situated quite close to the city centre and make for a lovely stroll in the summer months! Plus, the view from the tower is just amazing! How to get there: Bus 2, 3, 6, 7, 10 or 16 to Mosvannsparken. Follow the left trail to the other end of the lake, cross the motorway on the pedestrian bridge and make your way to the top of the hill where the tower is situated. 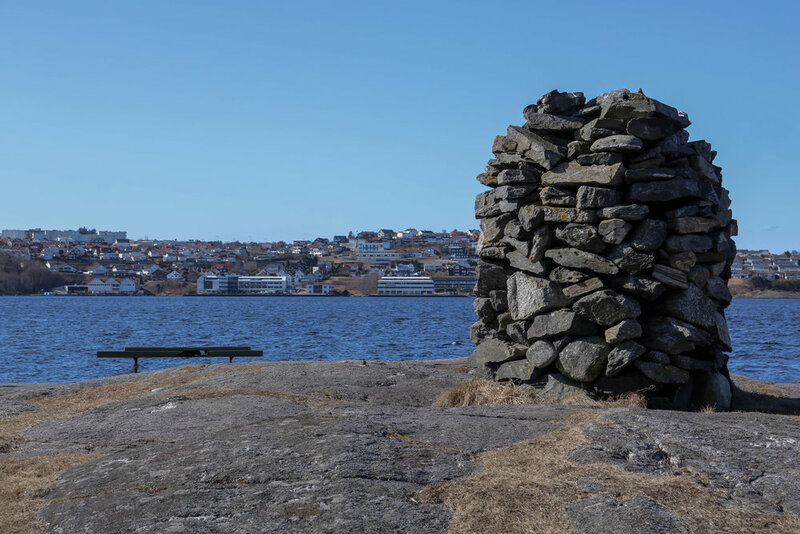 Another walk but one that also offers beautiful views is the trail leading from Møllebukta (where the "Swords in Mountain" monument is situated to commemorate the Battle of Hafrsfjord) to the former coastal fort at Madlatuå. Unfortunately, there are almost no remains from the fort left, but the view of Tananger and Sola is incredibly pretty nonetheless! How to get there: Bus 16 to Madlaleiren. Continue to Møllebukta and the "Sverd i fjell" monument from there and follow the trail at the fjord to the right of the beach to its end. Then continue on to the road Skytterlagsveien and follow the trail through the forest up to the former fort before the road has reached its end. When hiking in Norway in summer, you should always wear clothes that easily absorb sweat, so that you don't end up having to hike in damp clothes. 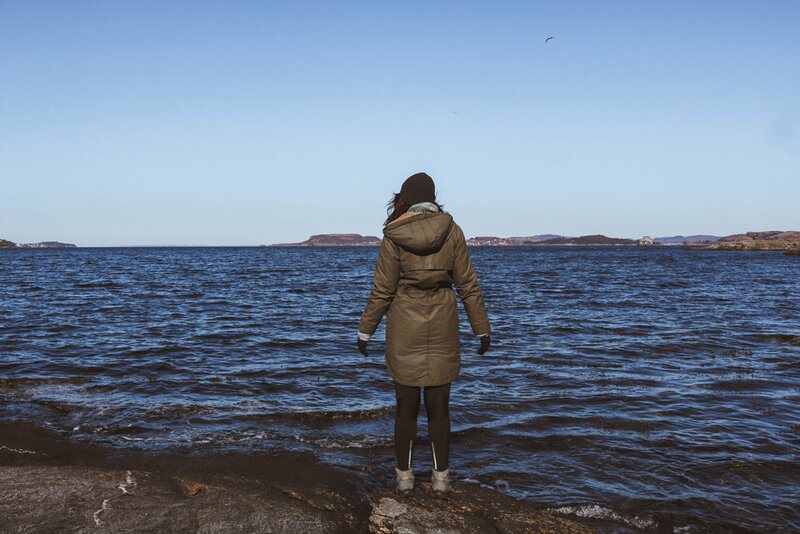 You should also always bring a waterproof windbreaker to keep you warm and dry, as the weather in Norway can change quickly - especially if you're hiking in the mountains. Also, hiking in sneakers is an absolute no-go, no matter how many people you've seen doing just that on Instagram. Most hiking trails are not asphalted and feature tree roots or rocks, which can be very slippery when it's wet. Proper hiking boots should therefore find space in your luggage, no matter what kind of hike you're going on! Bring enough water and food to last you, as well as your phone, and a powerbank in case you run out of battery. A sitting pad can be useful so that you don't end up freezing on the cold ground when stopping for a break. Also, don't forget sunglasses, sunscreen, tissues/toilet paper, hand sanitizer, your camera and a small first aid kit in case of emergency. Depending on the hike and your fitness, you might also want to bring trekking poles. curious to read more about hiking in the nordics? Older PostOdense: The one day trip you have to take when visiting Denmark!